Senate President Aquilino “Koko” Pimentel III, in an interview with reporters, he defended the impeachment threat against Vice President Leni Robredo. According to the Senate President, the critics of President Rodrigo Duterte were the ones who threw the first punch. "Ano lang ito, reaction ni Speaker. Sino ba naunang nanuntok? Eh di parang napa-react si Speaker and he has the numbers. That's the problem," Pimentel, president of PDP-Laban, said. "Titingnan niya kung may matibay na ground para hindi masabing gantihan lang pero ginising nila ang sleeping giant na si Speaker Alvarez," he added. Pimentel said the accusation of betrayal of public trust can likely stand, considering that such ground is political in nature. 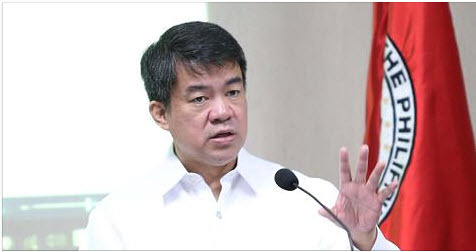 "Lahat naman tayo may freedom of expression but there’s also betrayal of public trust...I think accepted yan [na] these are not absolute rights," Pimentel said. "May limits ang freedom of expression," the Senate leader, who has yet to watch Robredo's video, added. Meanwhile, Robredo’s spokesperson, Georgina Hernandez, claimed the video came from the families who approached their office, she also said that telling the truth is not an impeachable offense. “Hindi naman po impeachable offense ang magsabi ng totoo at magbigay ng boses sa mga pamilyang Pilipino na natatakot at humahanap ng paraan para maikwento ang kanilang mga nararanasan,” she said on Unang Balita.